Create beautiful, responsive landing pages in Pardot by using one of these 2 free Pardot layout templates. 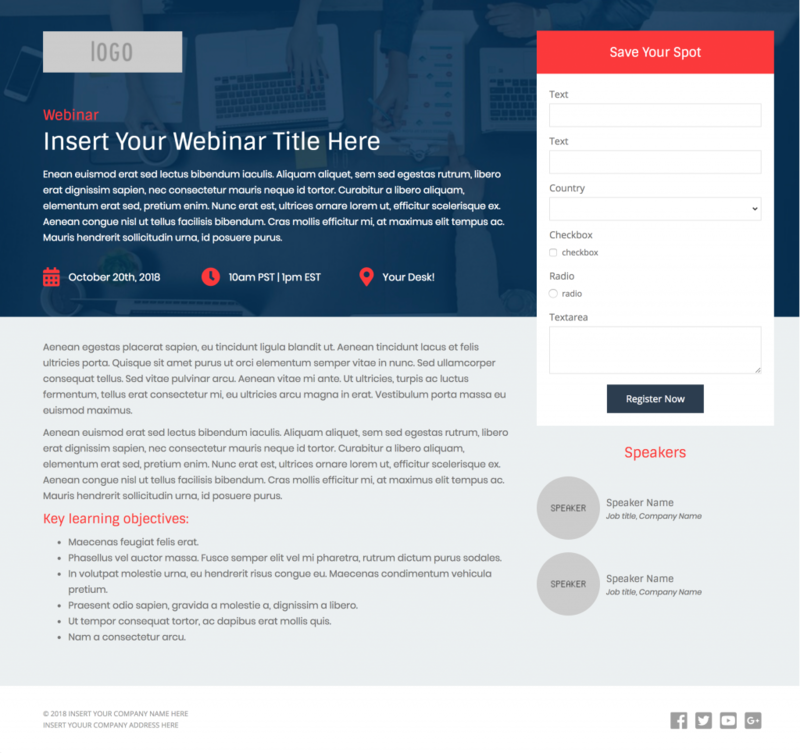 These landing page templates are designed specifically for events such as webinars or trade shows, but they will work well with any landing page that contains a form. These templates are free for both commercial and personal projects. No attribution is required, however, if you use them I would love to see how you customize them. Share your templates with me through Twitter, email, or in the comments below. 1. 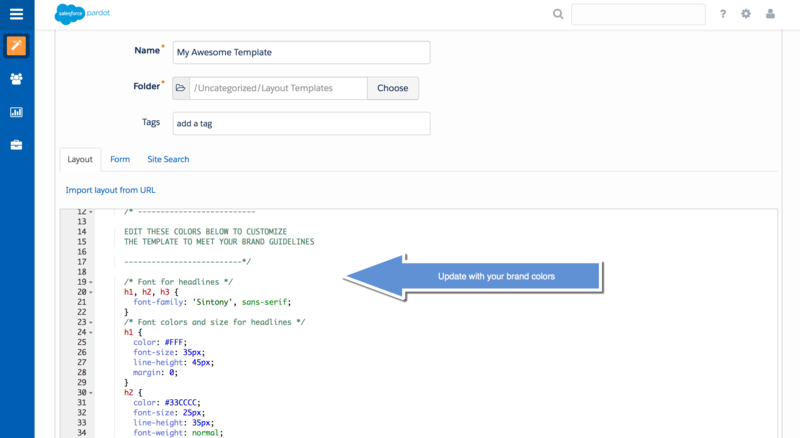 Create a new layout template in Pardot (Marketing > Landing Pages > Layout Template > Add Layout Template). 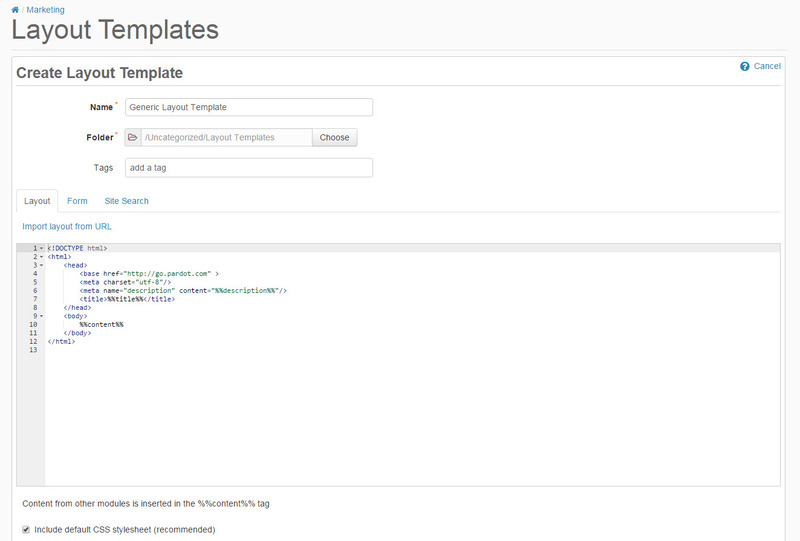 Give your layout template a descriptive name and add your desired tags. 2. Copy the link to the template by clicking on one of the ‘copy link’ buttons below. This will copy the URL to your clipboard. 3. Navigate to the import layout drop down and select from URL. Paste the URL to the template into the text field and click import now. All templates use the Bootstrap Framework and use Font Awesome for the social media icons. The CSS is directly in the template (no external CSS files are referenced other than the Bootstrap and FontAwesome library). You can easily modify the template to meet your branding requirements by modifying the hex codes directly in the template which are commented clearly within the template file. Subscribe to receive more Pardot tips & tricks delivered right to your inbox. Looking for some creative ways to spice up your Pardot forms? In this post, I will show you how to implement the popular floating label technique in three easy steps. I will also show you how to turn your long drop down menus into user-friendly, searchable dropdowns. In this tutorial, I will show you how to turn the default Pardot email preference page into a preference page that matches your brand. 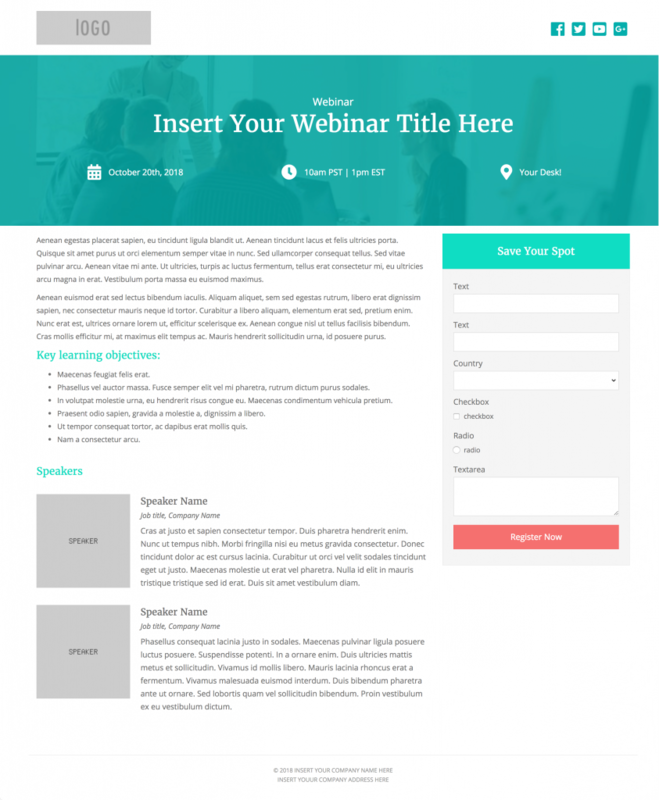 You will learn how to customize everything including the header, footer, form, and text. Your Pardot forms don’t have to be boring. With a little extra CSS you can create beautiful Pardot forms with customized checkboxes and radio buttons. In this tutorial, I’ll show you how you can style checkboxes and radio buttons within Pardot forms with minimal coding. Hi Jenna, Love these templates, Thank you! If I use your workaround for the image banner, will this affect the landing page only or will it change it at the template level as well. Thanks! These templates are wonderful, Jenna. Thank you so much for providing them! These templates are fantastic - but I'm having some challenges with getting my form to show up instead of the placeholder. Hi, this is fantastic! Is it possible to make the banner image itself an editable region so I can swap the image without having to modify the template? Thank you! Hi Jenna, Thanks for these great templates. I am quite a bit out of my scope, but your blog has been a tremendous resource. I've duplicated the 1st landing page into my system, and I'm trying to implement the work around for editing the background image. Unfortunately, I've got ZERO background with coding and I have no idea what you mean by "right after the BODY tag" or "edit the landing page's CSS" (from one of the comments). Do you have any introductory coding resources that you could recommend to a beginner like me?